Staying ahead of the game when it comes to the updates and changes to Google’s algorithm can be a tough wave to ride. Not only is Google a little shy when it comes to explaining which SEO practices are still viable and which have fallen, but there is more to worry about. Today as we embark on a new field of organic, local SEO algorithms, there are still plenty of myths circulating that need to be left in the digital dust. Generating interest in an event starts long before the big day and with the number of social media users predicted to reach 2.95 billion by 2020, businesses can’t afford to overlook these channels when it comes to ticket sales. From the power of unique codes to the potential of reaching untapped audiences, social platforms can be hugely profitable for businesses who are looking to drum up interest online. 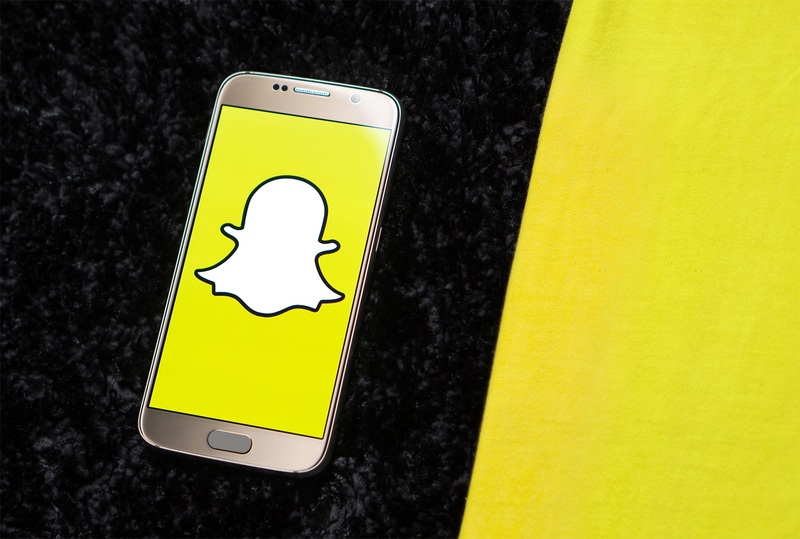 6 different ways that the global social media platform, Snapchat, can help build a businesses brand both locally and internationally. With over 2.6 billion users worldwide, the power of social media as a business marketing tool definitely shouldn’t be ignored. Offering the scope to reach much wider audiences in a personalized and engaging way, it’s no surprise that a huge proportion of businesses now dedicate marketing resources to social media activity to help grow their business. Thousands of websites try to reach the top positions of Google in order to increase their e-commerce sales, while a minimal number of websites are in the queue, waiting to have a small share in the online world. Attractive designs and a unique website features are used to get the customers attention and have them stay on your website a little longer. Although this seems like an easy task, the reality is very different. A lot of websites are disappearing because they are not getting enough customers attention. Visitors usually spent only a few minutes on a website. There is no positive response in terms of acquiring services and buying products, even after looking at the different services and products on the website. In this case, the best you can do is to keep innovating your website and keep the customer attracted to it as long as possible. The website has to have something catchy if they want the customer to be interested. The owners of websites also have to accept that a lot of users just visit their website without buying anything. Speaking of which, there a multiple reasons why this happens. Here are some reasons why visitors decide to leave a website without purchasing anything. Having quality ads about your products and services is one of the most important parts. When an ad is annoying, it can lead to the loss of customers. There is no denying that the “pay per click” or PPC is the most efficient way to increase web traffic. It is the easiest way to attract visitors to your website. It also makes sure that the only people who click on it, are actually interested in your website. Whenever a user is looking for a specific keyword in google, he/she will see the ad to your website, this will make unique visitors attracted to your website. It is important to use the correct keywords as it can affect you negatively when using the wrong ones. Note: Before implementing the PPC process, study and focus on your end goal. Many online websites have a complicated structure. The reason for this is that when you sell a lot of products or services, you will divide your website in different categories. If the user does not easily find what he wants he will leave the website because he does not want to waste his time on something that is hard to find. Note: It is important to have a clear description of the product and services. You want your customers to understand what you are selling. Make your page easy to navigate through. Website owners, when it comes down to creating a good online store, make your website modern and focus a lot on the design part. You will not be able to create a website that attracts all of the users, so don’t worry to much on every ones needs. Note: Try not to complicate the design, but create a modern and attractive online store. Lack of information on your website might be another reason why clients leave your website. Some customers prefer getting help before making any decisions on any type of purchase. It is important for your “contact us” page to be very visible, easy to work with, and updated with all the correct information. Some things that should be on the website is an email address, contact number, office address and other stores. Note: make sure the contact is always visible and easily accessible in order to avoid doubts of the customer and potential customers. When having an online store, it is crucial as well to have other professional marketing forums. Facebook, Twitter, Instagram, and many others will make sure that people get to know about your website. Make sure you use you pay attention at the time of the internet marketing like SEO and SEM. Note: Another website where you can add extra information and discounts is as important as the website itself. Another important part is that you need to have quality pictures with high definition. Don’t forget that a picture has more than a thousand words. Besides that it is important to have a clear description of the product. These are all important points that will help you create an unique online store to impress the online world, giving you the popularity of an ecommerce site that will make your customers spend more time on your website, which will lead to an increase in sales and encourage more customers to leave comments. Four ways to implement customers’ reviews in your marketing strategy and social media. We have all read the customer reviews on online web shops. Online shoppers tend to rely on buyers who have firsthand experience with products from an online store that they are interested in. A large percentage, between 60%-90% of online users admits that they always read the customers reviews before buying something online. With that, for expensive products, almost 75% agrees that reading the customers reviews is part of the natural process of buying online. With this scenario, it is a must that companies succeed in implementing the reviews of their customers in their social media strategy. This is where customers, users, and future clients spend a lot of their free time reading and believing opinions of those who have already bought products. Integrating customers’ opinions in social networks goes beyond just publishing the opinions on networks and just leave them there. The goal is to show your customers are very proud and happy to buy from your online store. When they understand what your business is about, they will pay more attention to your business. We will point out that having an independent customer opinion service is needed on your website. You need to strategically use this type of consumer-generated content in your overall marketing efforts, as well as your social media strategy. It is very rewarding when you share your customers experience on all social media and see your credibility grown exponentially. We will talk about four different ways on how to get the most out of your customers reviews by merging them with the correct social media strategy. Stay updated on what your customers think, no matter where they are. Online shoppers value the products in the online stores because it is very easy to do and sometimes comes with a discount, let’s be honest. Think about Amazon. They also use third party sites to let their customer talk about their shopping experience. We can find the customers´ experiences on multiple websites which makes it hard to keep track of them, but it can be done with organization. When you enter some general opinion sites like Yelp, or of course Facebook you might be surprised on how much negative comments you have without knowing it. Some of these comments might convince people that your product or service is not good. Investigate where the opinions about your products come. Make a list and review these websites regularly. Develop a system to respond to criticism and to spread positive opinions in your social networks. It is crucial to answer to all the negative comments, but also the positive ones. This is an easy way to show them that you do not just show up when you are trying to fix your reputation, but show them that you care about all opinions. One negative comment may have more impact than a dozen positive ones. This is why you need to respond on these questions and solve the problems as soon as possible. Responding immediately makes the buyer feel important. The sooner you clarify the questions, find the mistake, and fix the issue, the more satisfied your customer will be. Responding fast gives the users of your website a good impression. They are happy to see that you are trying to solve existing problems. Publish the negative and positive comments on your social networks. Users love reading other people´s comments online. Publishing them on your Facebook page, tweeting them, or adding them to other social accounts increases the trust of the customer because it shows that you are open about everything. You will see more interaction between your customers in the post about “before and after” or customers review in your social media accounts. We know it is tempting, but listen, you do not only want to respond to the positive comments because you will lose all your credibility. Don’t forget to also respond to reviews with only two or three stars. Explain the customer who left a comment how you solved your problem, and do not forget to thank them about their honest comment. Don’t forget to be “you”. The more you are yourself, the more positive reviews you will get. Users are positivily impresses by honesty. It builds credibility, loyalty, and sales. There are many ways to monitor the impact of the reviews you post on your social accounts. You need to do it the same way that you track other statistics generated by the user. To obtain an accurate image, add to each review the URL of the product in question, a keyword and category. The more details you add, the better you know what is working and what is not. Is all this effort worth it? YES! In a recent study by Millward Brown, 87% of the consumers say that Pinterest is a very popular site to review customers` advice and opinions. And that is just a social media platform. It is clear, the customers decide what to buy and where depending on your openness on social media. Think about this wisely. Integrate opinions and scores into your social networks to increase your commitment when it comes down to responding on reviews. At WeeComments we totally support these findings. Take a look at all the possibilities of integrating customer reviews on social media with us.